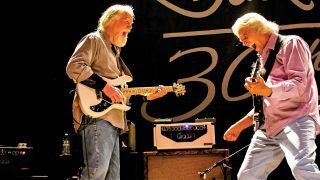 Jimmy Herring and Victor Wooten have announced a co-headline tour this fall. The tour will start November 1 in Charleston, South Carolina, and will wind up in Albany, New York, November 18. Widespread Panic lead guitarist Jimmy Herring will release his second solo album, Subject To Change Without Notice, August 21 through Abstract Logix Records.